Everyone like when two celebrities date each other, but what happens when there’s four famous people on the same spot? That’s when a celeb double date happens! This time, E! News spotted Taylor Swift and Calvin Harris sitting down for a dinner with Jason Statham and his girlfriend Rosie Huntington-Whiteley. The two couples met at the Palm Restaurant in Beverly Hills on Tuesday night, where they enjoyed a friendly meal together. 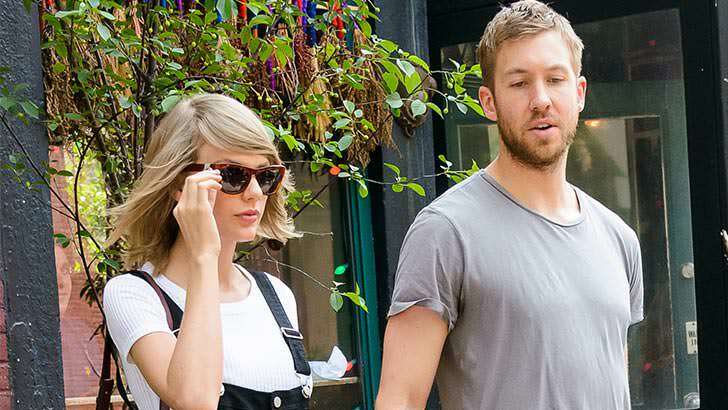 Swift is known for being friends with a large spectrum of celebrities and this is not the first time she and her DJ boyfriend were spotted on a double date with another famous duo. The most recent one was with Joe Jonas and Gigi Hadid. As for Statham, it’s nice to see him taking some time off with his supermodel girlfriend after starring in “Furious 7” and doing all those conferences and interviews. Good on ya, Jason!